Men should be comfortable in their own skin, and even more comfortable in their underwear. Bear Skn is on a mission to make that a reality for men of size. After their first successful kickstarter campaign, Bear Skn founders, Bjorn Ryan-Gorman and Jody Koenig, have learned that this target audience wants more. Since launching their company 3 years ago, Bjorn and Jody moved themselves and their company from MN to Vegas to Portland Oregon to meet the demands of their growing brand, to build a supportive community and to launch their next Bear Skn product – a monthly underwear subscription service. Each month their Bear Skn Box will feature a brand new pair of underwear. They have added modern convenience of home delivery, super-flexible terms and great service to their already popular product. 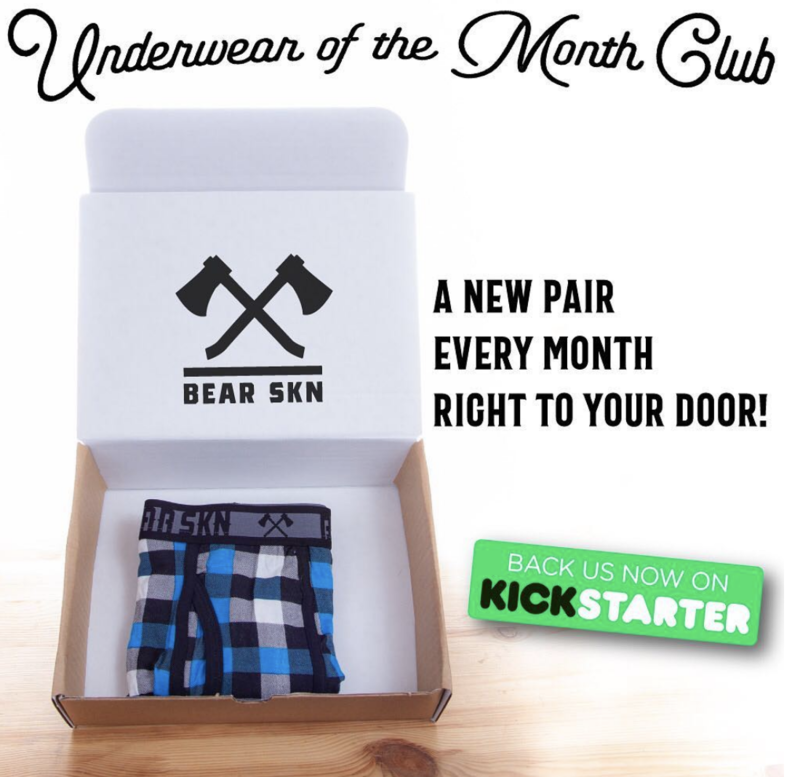 Bear Skn launched their Kickstarter Campaign for their new Underwear of the Month Club less than 7 days ago and already have 115 backers! If you (like us and Bear Skn) believe being confident comes from being comfortable in your own skin and in your underwear, and believe in the convenience of subscription boxes, then support their Kickstarter Campaign today!